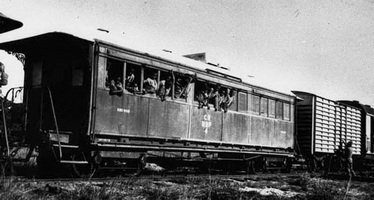 Built at the South Australian Railways Adelaide locomotive workshops 4.1890, and issued to the Palmerston division as second class lavatory car "No.126", seating 35 passengers. Taken over by the Commonwealth Railways coded "NBP 4". 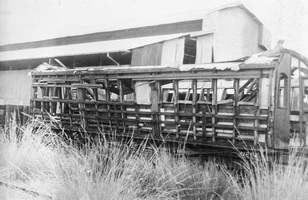 4.1890 Entered service on the South Australia Railways Palmerston division as "126"..
1954 Written off and sold to Fujita Salvage Co. 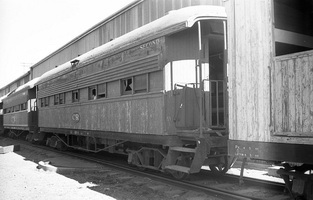 Built by the Commonwealth Railways at its Port Augusta workshops as, entered service, 40 feet 2-1/5 inch second class passenger car with longitudinal seating. 1.5.1925 Entered service as "NBP 14". 19.7.1972 Underframe converted to flat wagon "NR 1767".